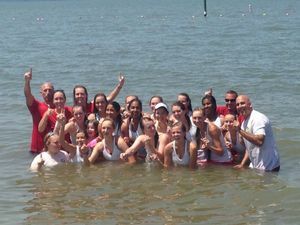 Girls’ tennis team jumps, and Coach Seidenberg, in the James River after winning the 5A Championships. 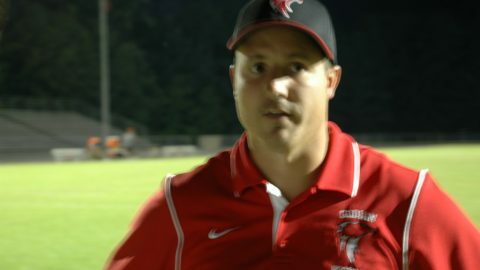 When Mark Seidenberg took over as the head coach of the girls tennis program here at Godwin in 1994, the school had only one state championship. Since Seidenberg began his campaign, 10 more state championships have been won. The numbers are mind-blowing: ten state championships in 20 years, 15 straight regional championships, and 13 straight state final appearances. During the 13 year stretch the team’s overall record is 257-14. “The consistency of the program is due to the girls who come into the program and improve each year. Some of the girls don’t make the line-up their junior or senior year. During their younger years they learn the culture of the program which is ‘team first’,” said Seidenberg. Seidenberg does not manage the team alone. 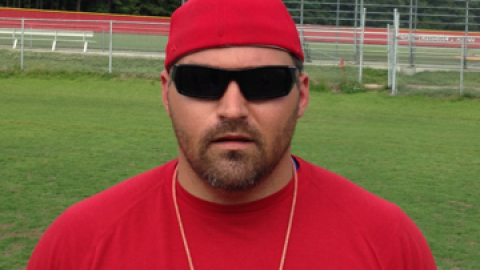 This year he had five assistant coaches, two of them former players. Also, most of the players on the team work with the local pros who prepare them for high school competition. Despite the success prior to 2014, it looked as if this year’s team might struggle to uphold the standards of girls tennis at Godwin. Deep Run had defeated Godwin twice in the regular season and then beat them in a competitive match in the district championship. In the past 13 years the Eagles had only lost 14 times, and in 2014 alone they had lost three of those 14 games to one team. 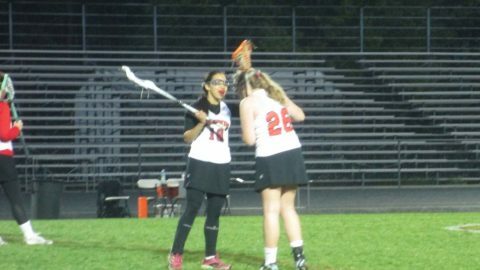 In addition to the team’s struggles against Deep Run, injuries plagued the team all year. Senior Elizabeth Dudley was a key starter for the team in both singles and doubles as a freshman and a sophomore. Last spring an ankle injury sidelined her for the entire season. 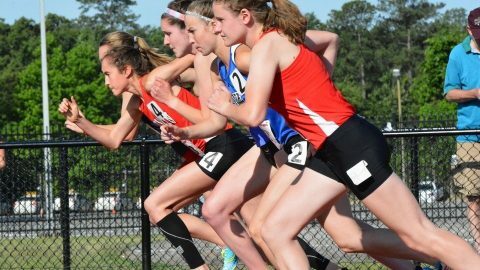 Another key player, Sophie Linnell, who graduated in June, was told that she would need surgery only one week into the season. “I thought if we were healthy all season, we had a shot at going undefeated,” said Seidenberg. 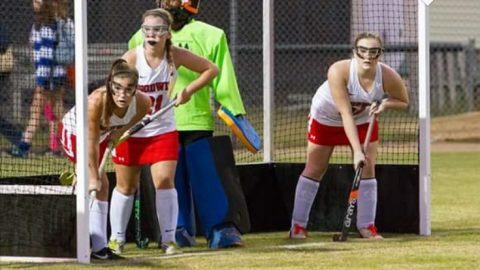 The odds seemed stacked against them, but the district championship game against Deep Run gave the team new hope. 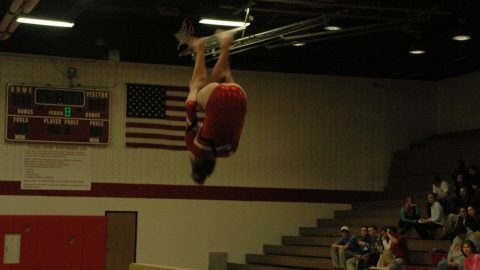 In the district championship, Jackie Dillon, a senior last year, lost to an opponent whom she had never lost to before. Seidenberg knew that if they faced Deep Run again, Dillon would be able to handle her competition. Seidenberg was also impressed with how the doubles team performed. 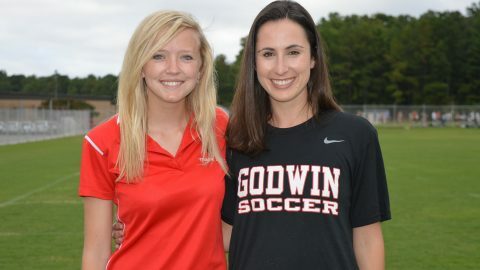 Godwin lost 5-4 to Deep Run, but still advanced to the regional tournament. They nearly beat Deep Run, and Linnell would be able to return for the region. “We were not very happy each time we lost, but we always knew we could beat them,” said Dillon. In a surprise to nobody, Godwin and Deep Run met in the regional championship for their fourth matchup of the year. Godwin made it through the round of singles matches up 4-2. The match was then clinched by the number two doubles team. 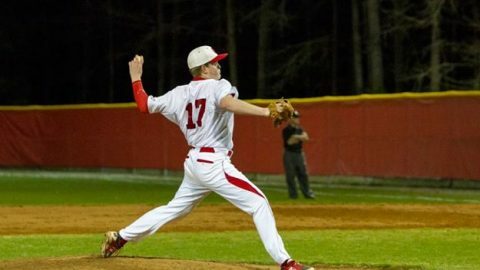 Godwin advanced to the state tournament, and Deep Run was sent home. “After that win, we had to convince the girls that the Deep Run match would not be the highlight of our year,” said Seidenberg. At states, Godwin won their two matches handily. In the semifinal, they defeated TJ Alexandria 5-1 and went on to win the state championship against George Marshall 5-1. “It was pretty amazing because we had key players injured and one of the worst records, but we still managed to win the state,” said Dillon.